I used a foam poster board for my backing because that’s what I had laying around my house. I cut it to a 16″x16″ square, to make the dimensions match another project I’m working on. I bought the circle punch at Michael’s ($8.99 I think), and they also had a few different sizes. The scrapbook paper was also from Michael’s ($1.99 each). I always go into a store like this with coupons, and never pay full price for anything. 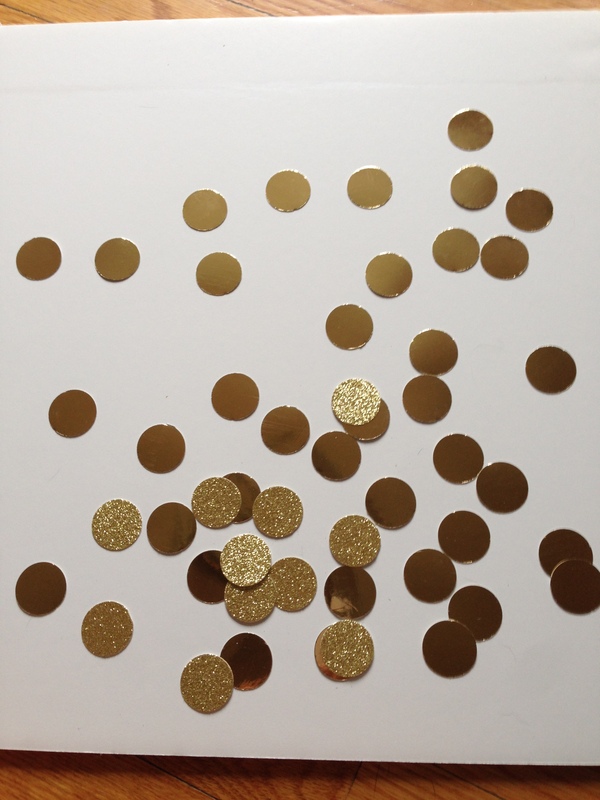 I then followed the Pinterest picture as a guideline, and punched approximately 35 ci rcles from the shiny gold paper (basically went around the outside fully punching circles), and punched roughly 12 of the glitter paper. 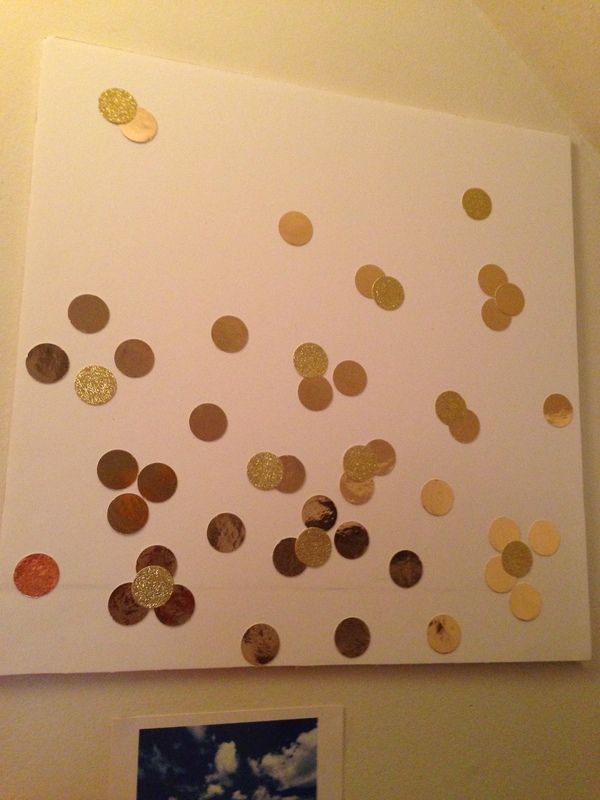 I then randomly arranged the circles on the canvas to my liking, and then glued them all down using liquid elmer’s glue. It’s as simple as that! Some of the circles curled up around the edges, so while it was drying I left some heavier books on top of them to keep them flat.